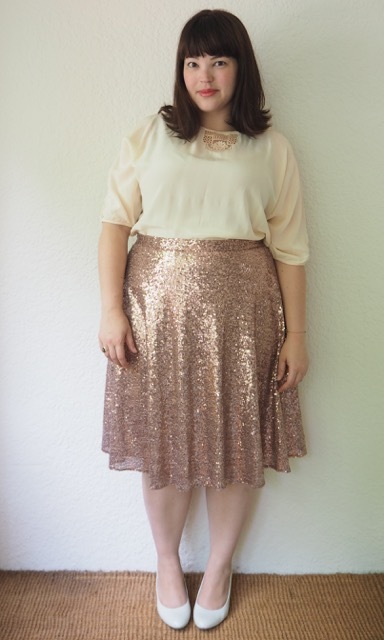 I’ve had my heart set on a sequinned midi skirt ever since I saw (and failed to buy) one on Asos a year or so ago. 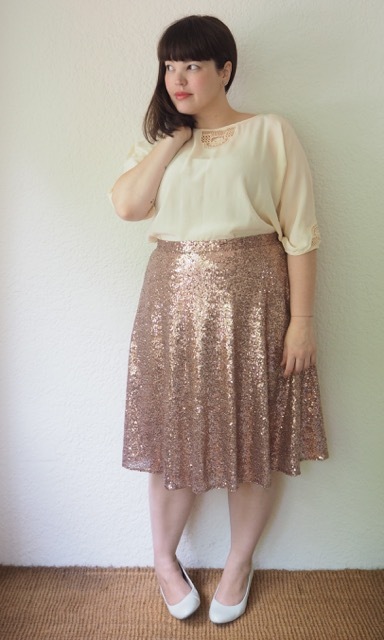 I’d been toying with the idea of sewing one for myself, but the logistics of sewing sequins (not to mention the requirement for the skirt to be lined) put it in the Too Hard Basket, so I’ve just been idly keeping my eyes open online for something similar. This one popped up on eBay just before New Year’s, and though I haven’t had an experience with Primark due to their positively prehistoric lack on an online store presence, it was cheap enough for me to take chance on buying it. The colour is a perfect dusty rose; sparkly but not too OTT despite the fact that the sequins are full-shiny rather than matte like my Monsoon dress. Both skirt and waistband are fully lined, so I’m not wearing any of the scratchy sequins against my skin. 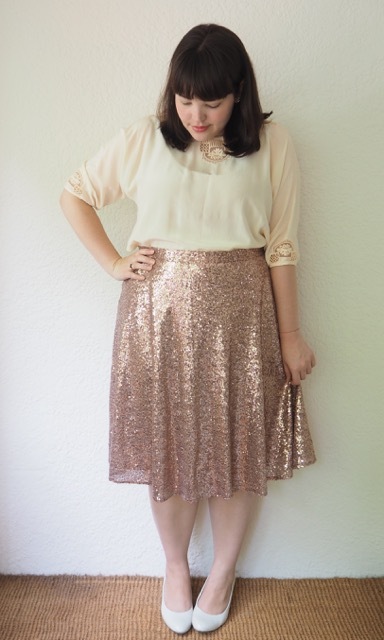 I get the feeling a sequinned skirt is a bit similar to a tutu – you can play it up or down, according to the occasion. I’ve seen them paired successfully with t-shirts, cashmere cardigans, button down shirts, even plaid. I’m thinking I might try my signature stripes next time. Anyhoo – speaking of Valentine’s Day, if you’re looking for a pretty outfit to wear you might like to check out the latest offerings at Igigi. They’re doing lots of new separates and a couple of really stellar dresses including a red lace version of my Adelle dress, the Francesca in either a gorgeous blowsy rose print, or a bold abstract print that reminds me of feathers. They’re running a great competition – starting today! – to win one of five $150 gift cards. All you have to do is sign up to their email list here. This entry was posted in Uncategorized and tagged laura ashley, primark, shoebuy, skirt, warm by lillipilli. Bookmark the permalink. Beautiful outfit. Very polished. The shoes are really cute. Are the comfortable? Super pretty! 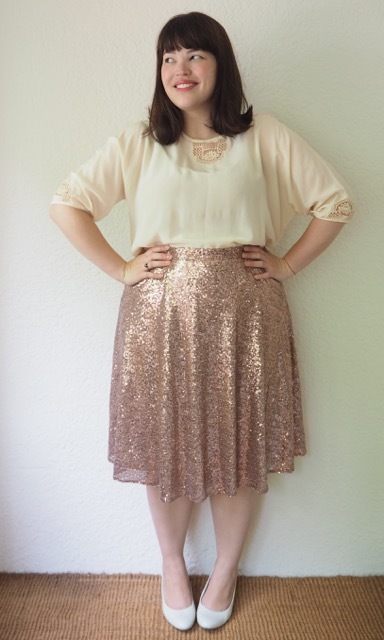 You make me want to enjoy sequins. You look so lovely! I am in sheer, unbridled, LUST with that skirt. GAH! Perfection. Love the skirt, but I totally think you should wear that amazing Monsoon dress for Valentine’s Day with red or pink (or red AND pink) accessories. VA VA VOOM!! (Yes, all caps. Knock his socks off.) So happy to see you smiling, lady!!! Gorgeous outfit, Lilli! 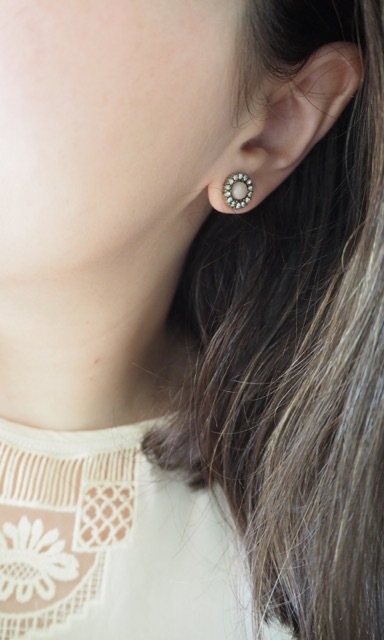 Those earrings are perfection. And yay to V-Day dinner and happy smiles. Delighted for you! I adore this skirt. Only upset I can’t find it online now! Good luck with that date lady! I know you’ll rock it! I only hope your date is as cool as you.